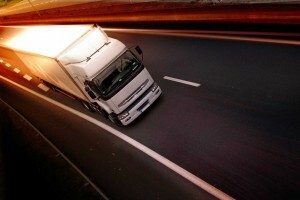 Less than truckload (LTL) and full truckload (FTL) shipping both offer efficient modes of moving domestic shipments. Shipping via ground freight is economical, affordable, and reliable and offers a great option for small and large businesses alike. However, there are a number of important differences between FTL and LTL shipping, and which shipping method your organization should choose will depend on a number of factors. Learn more, below. FTL and LTL shipping offer different benefits. Full truckload shipping offers exactly what the name implies: An entire truck that will be dedicated to shipping your goods. FTL shipments are the ideal choice for companies that need to move product in bulk and who want a reliable and economical way to transport their domestic shipments. While the initial cost of FTL shipping may seem high, it is a much more affordable and efficient method than breaking freight up into smaller LTL shipments. Less than truckload shipping is a great option for businesses whose goods can’t fill an entire truck. With LTL shipments, you pay only for the space you use on the truck and–generally speaking–loads are between 100-10,000 pounds. If your shipment will exceed 10,000 pounds then it will probably make sense to look into FTL shipping. Because the rest of the truck will be filled with other products, LTL shipping times tend to be longer than they would be with FTL shipments which travel directly to their end destination. LTL shipping is ideal for smaller businesses that deal in lower volume, but because it can be slower than FTL it is not the best choice for time-sensitive shipments. In those cases, air freight often offers a better option to ensure your freight makes it to its destination on time and on spec. AFP Global Logistics is the best choice for a shipping logistics provider who will work with you to come up with the perfect logistics solution! With 25 years of experience in the business, we have a deep understanding of the industry and can work with you to meet all of your needs. If you’d like more information or if you’re ready to start designing your own logistic solutions today, give us a call at 410.590.1234 (toll-free 800.274.1237), email us atinfo@afplus.com, or fill out our quick and easy contact form here! This entry was posted on Thursday, March 10th, 2016	at 8:12 am	and is filed under Domestic Shipping	. You can follow any responses to this entry through the RSS 2.0	feed. Both comments and pings are currently closed.